Want to connect with Kat? Hello! 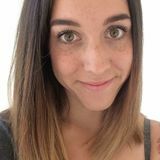 I am a 25 year old Canadian female available for childcare and tutoring in the Bow Valley (Canmore, Banff, Lake Louise). I am experienced with children and am pursuing an Education degree as well as being a qualified Care Aide. I have my First Aid and CPR Level HCP. I also have experience working with people with special needs. I have open availability and a reliable vehicle. I love animals so working in a home with pets is just fine.